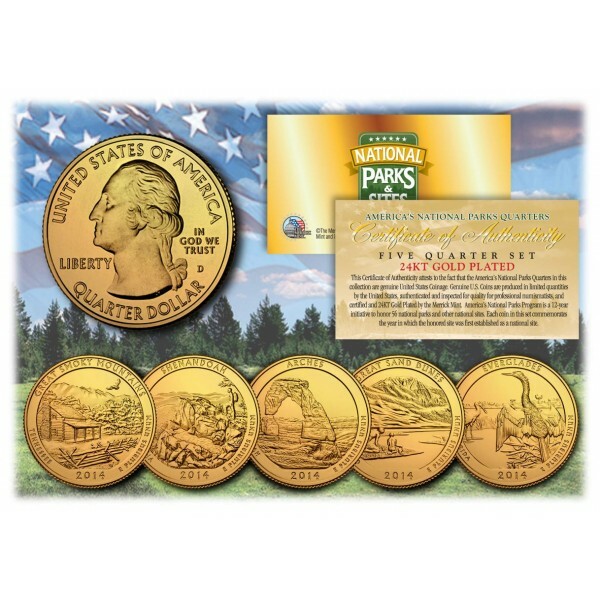 Here is your chance to own a complete set of five (5) beautiful 24KT Gold Plated 2014 America the Beautiful Quarters U.S. Coins featuring five national sites. Each coin is 24KT Gold Plated by the Merrick Mint to highlight the original design using a unique authentic process. The result is an everlasting 24KT Gold Plated coin collectible of ultra-high quality that is #1 in the industry. 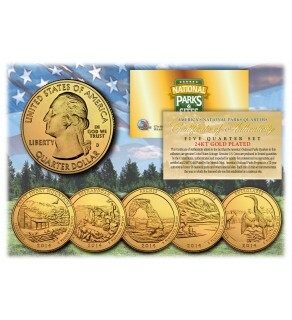 Each coin features a common obverse with portrait of George Washington and a unique National Site design on the reverse. 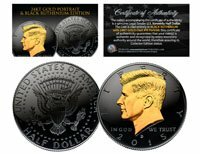 Each coin is genuine legal tender of the United States and comes in an acrylic coin holder and includes a Full Color 2-sided Certificate of Authenticity.